Before the family moved from their Dallas neighborhood, they placed their trash and unwanted belongings in the alleyway behind their house. 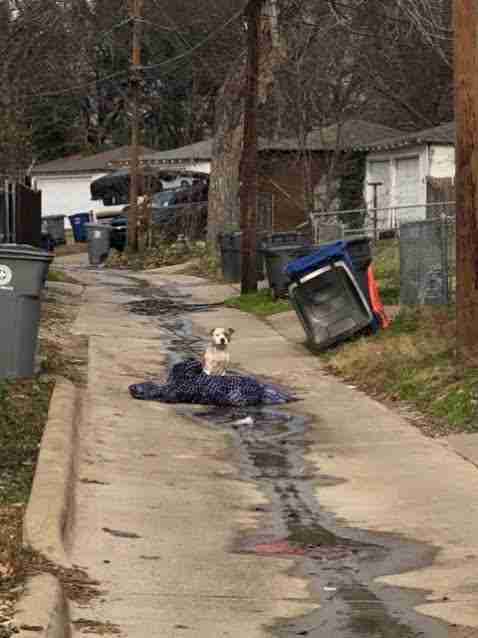 Sadly, one thing they didn’t want anymore was their dog — so they left her and her blanket out on the street. 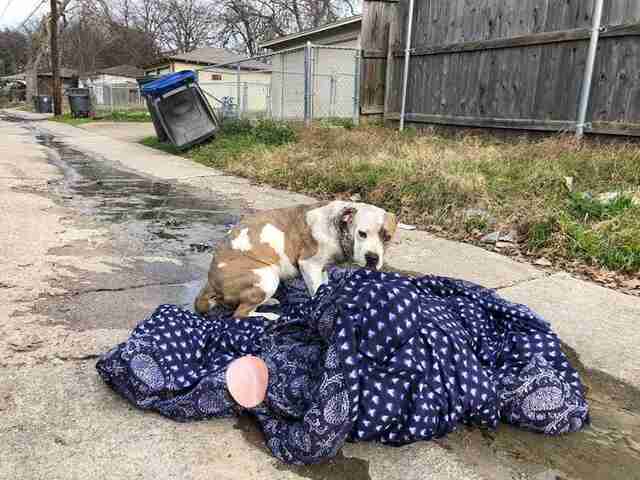 On New Year’s Day — the day after the dog’s family disappeared — Marina Tarashevska, cofounder of Dallas DogRRR, went for a walk in her neighborhood and discovered the abandoned dog clinging to the blanket. 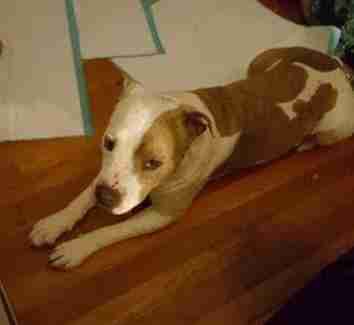 After speaking to concerned neighbors and learning the dog’s sad story, Tarashevska attempted to rescue the dog. But it wasn’t easy. Once Tarashevska retreated, the dog always returned to the blanket, which gave Tarashevska an idea. Now, each time the dog ran off, Tarashevska pulled the blanket down the alleyway toward her own house. After doing this for about an hour, the blanket — and the dog — had reached Tarashevska’s backyard, and Tarashevska was able to grab hold of the dog and get her into the safety of a kennel. The dog, now named Camilla, was terrified. Tarashevska could also see that Camilla had fresh wounds on her neck and ears — so she immediately took Camilla to the vet. Camilla had surgery on her neck and she’s on the road to recovery — not just physically, but emotionally, too. 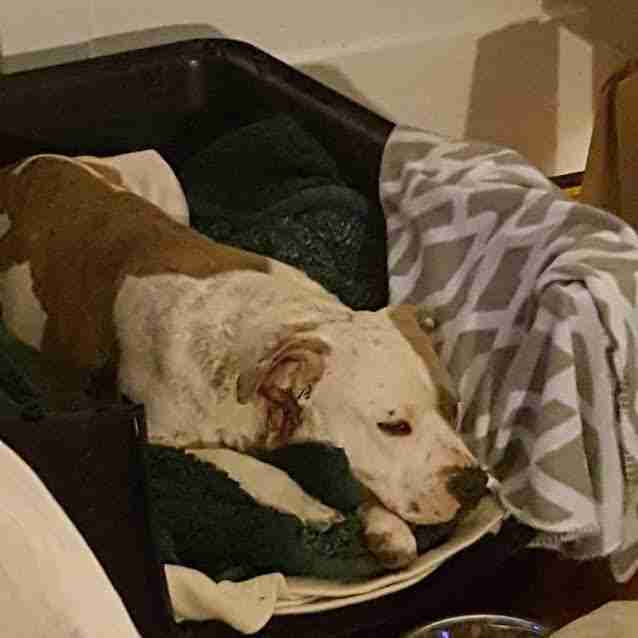 Camilla is now living in a foster home, where she’s getting lots of love and attention — and Camilla’s becoming a completely different dog. 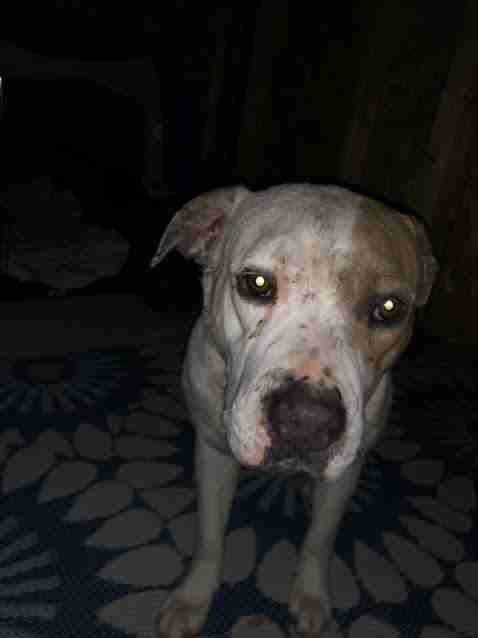 Camilla will stay in foster care a little longer so she can continue to heal, but she’ll soon be up for adoption. If you’re interested in giving Camilla a forever home, you can contact Dallas DogRRR.